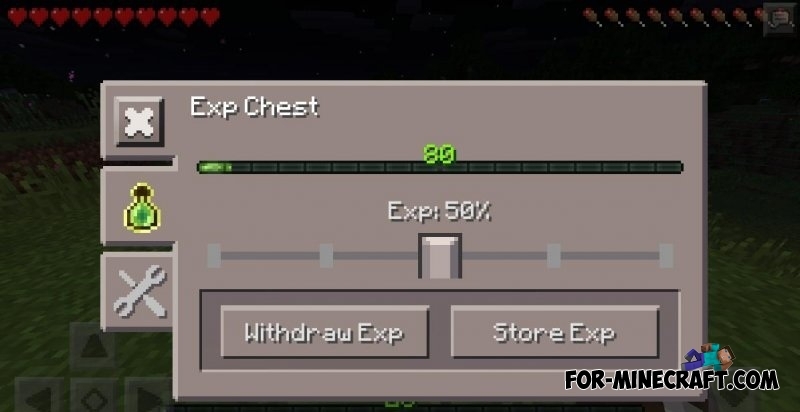 A very useful mod for MCPE that allows you to store the experience in special chests. 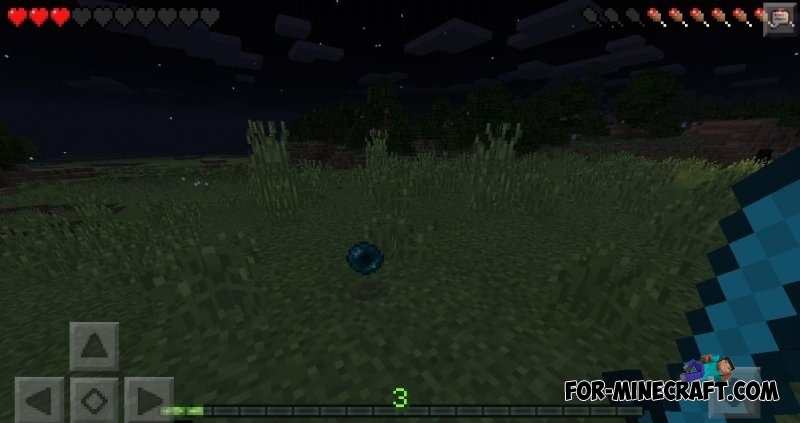 After all, these little green bubbles are needed to enchant of items and the anvil, and an important part of the gameplay. And in most cases, after the death of the players may lose them. 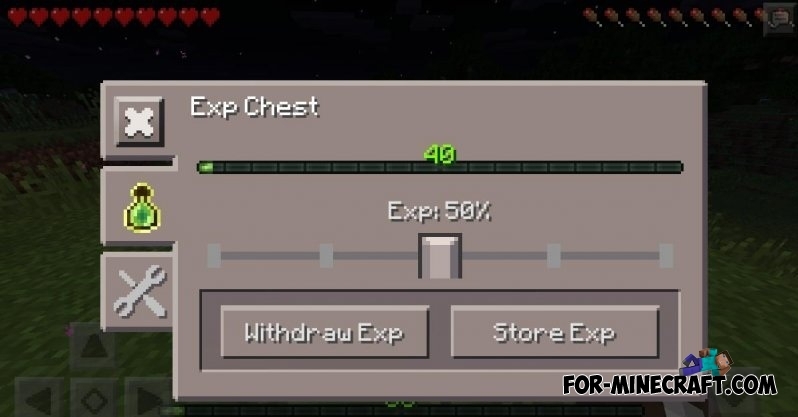 Therefore when you go on a journey, just place experience in your "Exp-chest" and not worry about the loss. 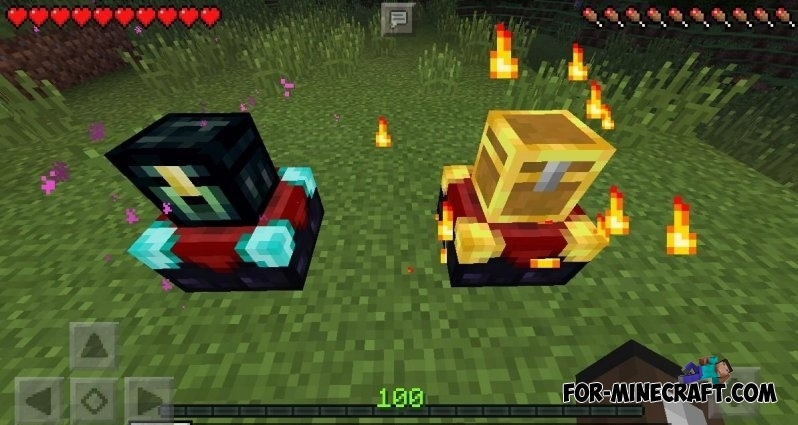 Ender ExpChest - 1 chest + 2 ender pearl + 2 diamond + 4 obsidian. Kill Enderman to get the ender pearl! Now tap on the chest. You will open a window in which you need to specify the amount of experience that you want to keep in the chest. For example, set the slider to 80% and click on "Store Exp". That's all, your experience has moved into the chest. You can use several chests for storage experience.